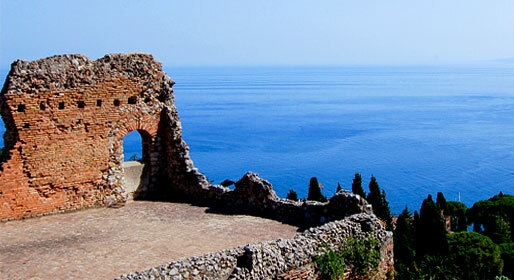 How to transform a historic house between Etna and the sea into a contemporary Sicilian Boutique Hotel. 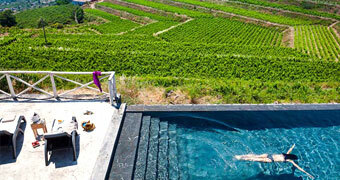 A wine estate, a country house and a panoramic pool, all within kilometers of the sea. Holidays in Sicily have never been quite so sensational! Ever wondered what it's like to live on the slopes of a volcano? 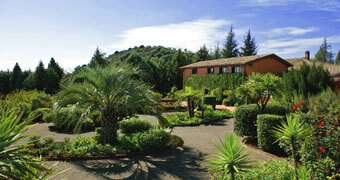 Book a holiday at B&B Palmento La Rosa and find out! The Valle dell'Etna is an area of natural beauty quite unique in Italy. The Valle snakes round to the Parco dell'Etna and provides numerous trekking routes along which to explore the Volcano and its craters. For an update on the available routes it is advisable to contact the Parco dell'Etna authorities. An excursion across Etna can be done in several stages. The first stage of the itinerary on the park is Fornazzo, Rifugio Vitelli, Piano Provenazana. The second: Piano Provenazana, Pista altomontana, Monte Maletto, Monte Scavo. The third stage: Monte Scavo, Piano Vetore, Area turistica Etna Sud. The fourth stage: Area turistica Etna Sud, area Sommatale, Valle del Bove; during this excursion, having arrived at the Torre del Filosofo, one reaches the craters edge. Last stage: Valle del Bove, Val Calanna, Zafferana Etnea, this is the most beautiful and the most dangerous section and should not be attempted before having obtained all the latest information regarding crater activity. 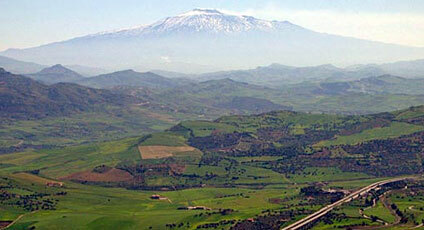 Those traveling through Sicily really should not miss the opportunity to visit the Valle dell'Etna. From the summit of Europe's most volatile volcano, to the destiny defying towns lying at its feet. A parade of floats bearing allegorical figures and flowers, Sicily's oldest and best-loved carnival.